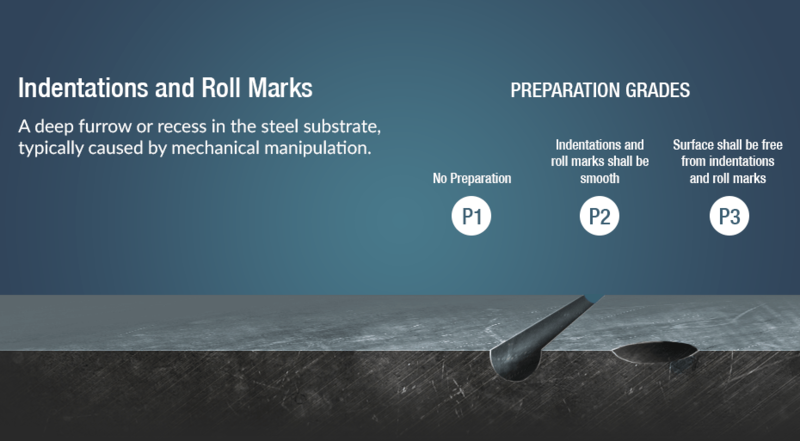 Detecting Defects in Steel Surfaces | Gonneville Inc. 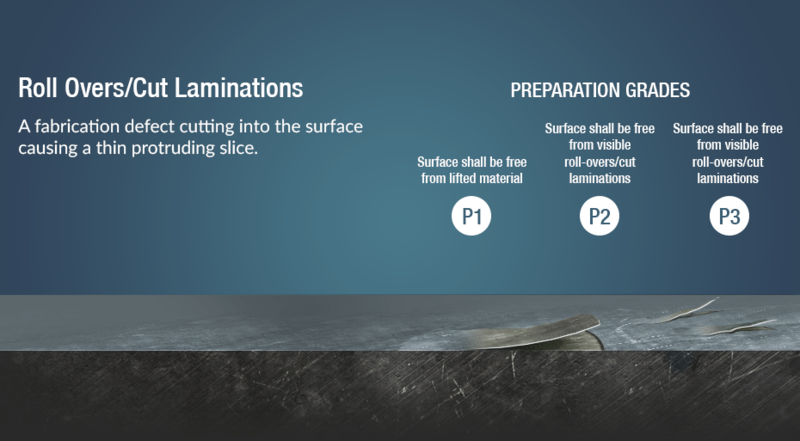 Coatings shrink as they cure, resulting in low film thickness over sharp edges and welds, which is a classic cause of coatings failure. 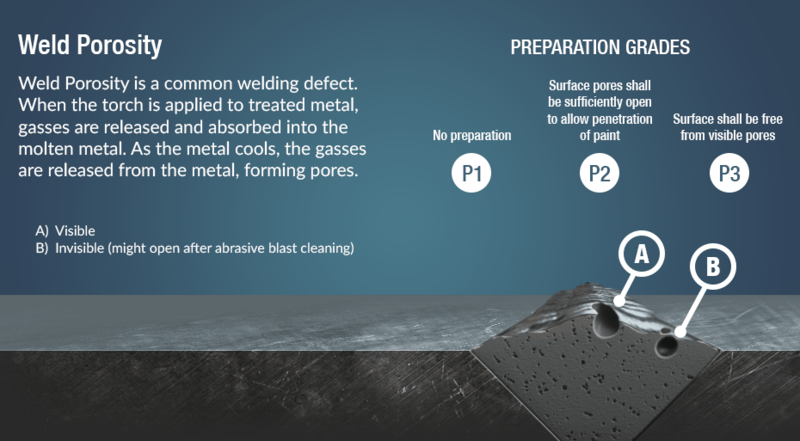 Repairing defects is normally not part of an abrasive blaster’s job description, but when you are charged with prepping the surface it’s imperative the coating adheres properly, and surface defects can prevent that from happening. 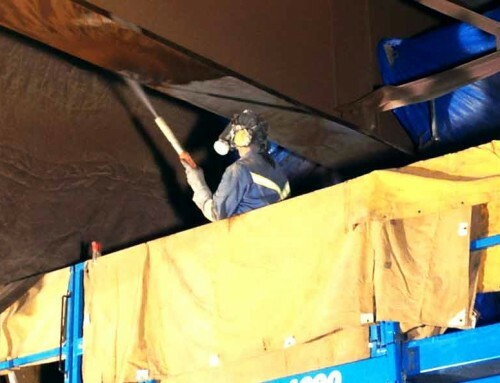 The abrasive blaster is the only person on the job who looks at every single square inch of the steel surface, which makes you the last line of defense for finding defects. 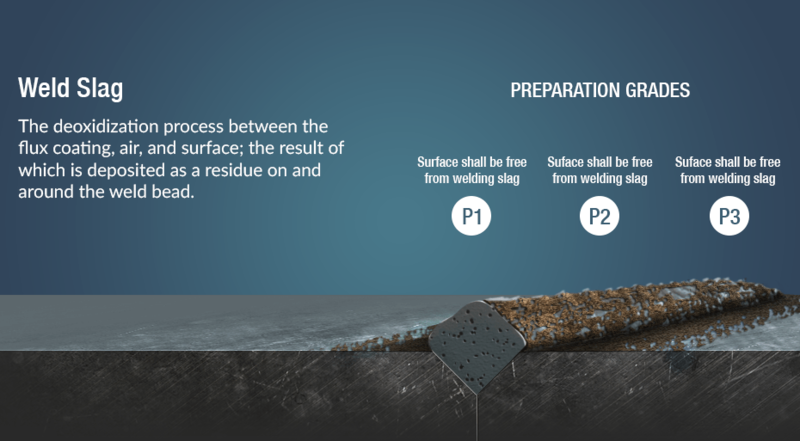 Finding and reporting defects is not only important, but welcome. 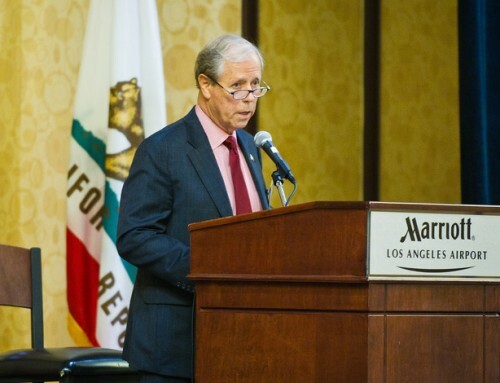 Providing this additional service is a good way to make an impression and distinguish yourself from the competition. 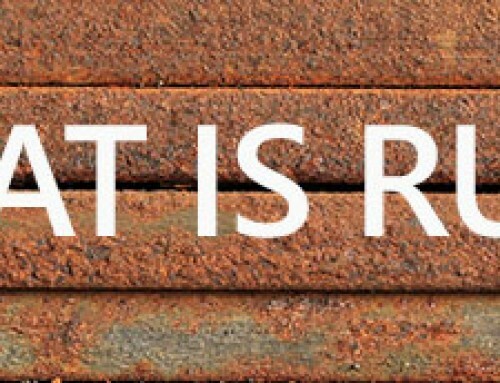 But first, you need to know what to look for. 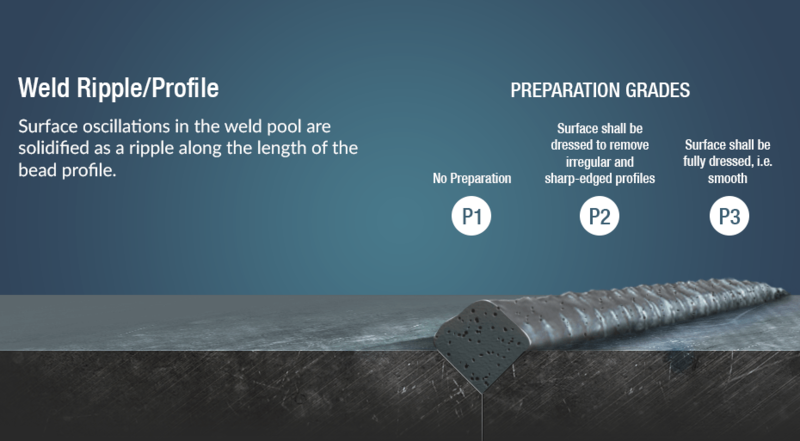 When inspecting for defects, pay close attention to welded joints, cuts, punctures and scoring. 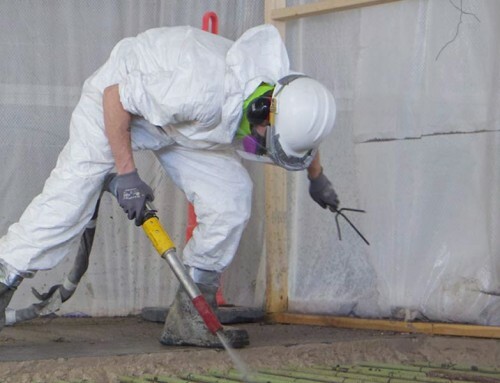 Run a gloved hand over the distressed areas looking for places where it catches to identify protrusions. 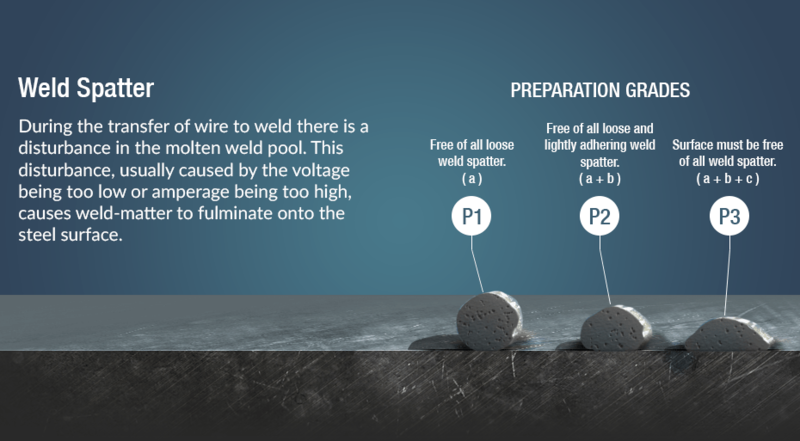 Some protrusions, such as weld spatter, can be abrasive blasted. 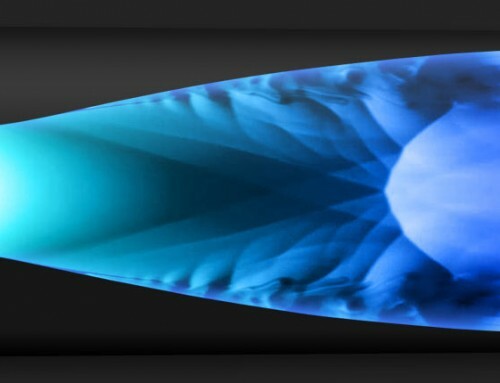 Others will require grinding. 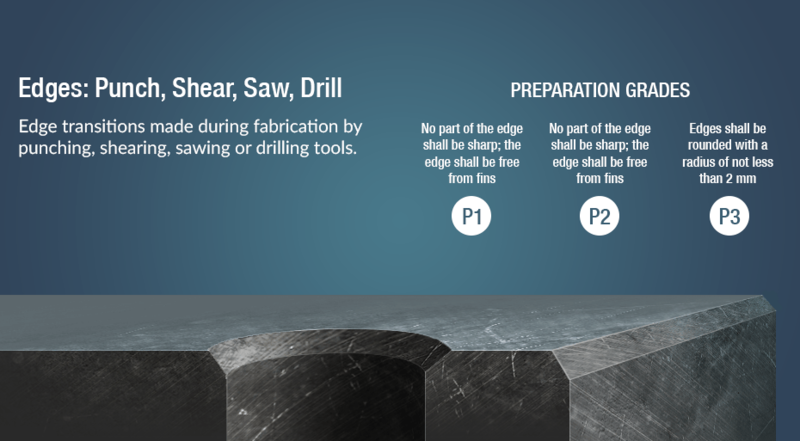 If you find yourself in the position where you are asked to grind a protrusion with power tools, it’s important to avoid leaving any surface roughing, burrs or burnishing. 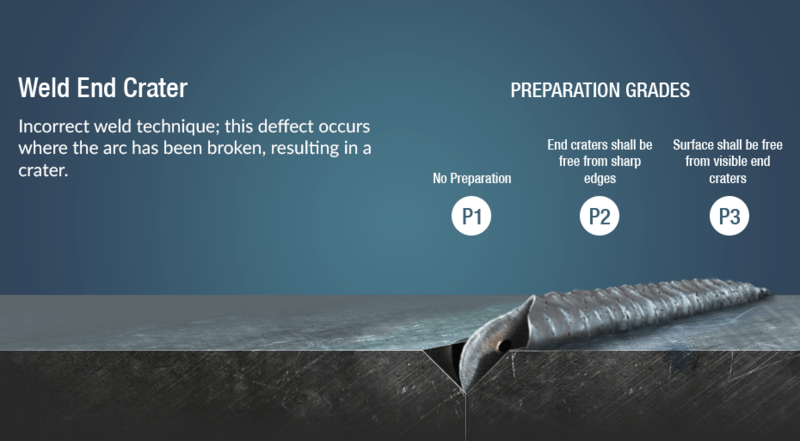 It’s also important to note when grinding defects to not reduce the mass of the substrate to less than that the surrounding metal, or grind in a way that creates excessive heat – both cases will weaken the steel. 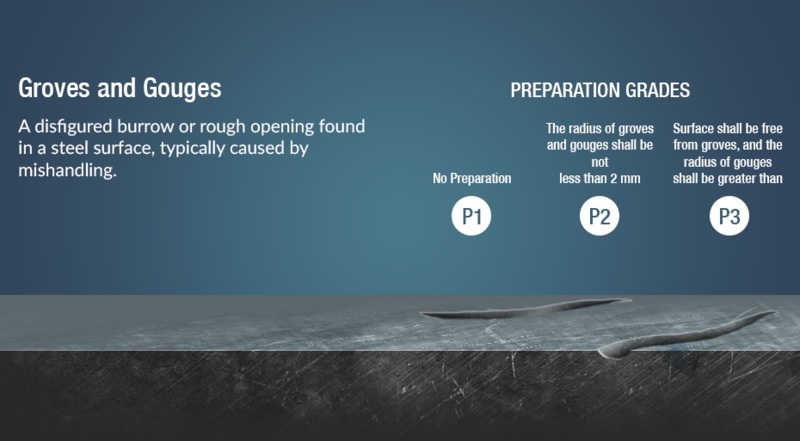 Also, grinded defects should be inspected afterwards by the glove test to ensure that more sharp edges were not created in the process. 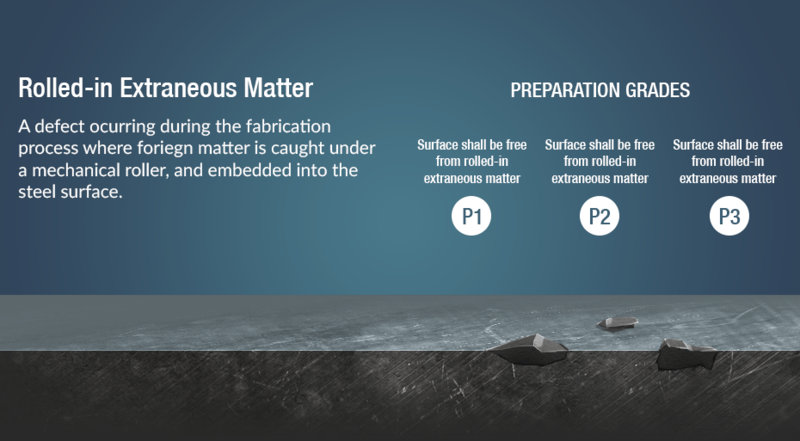 Knowing what kinds of defects to look for, lets look at the different grades of surface prep. 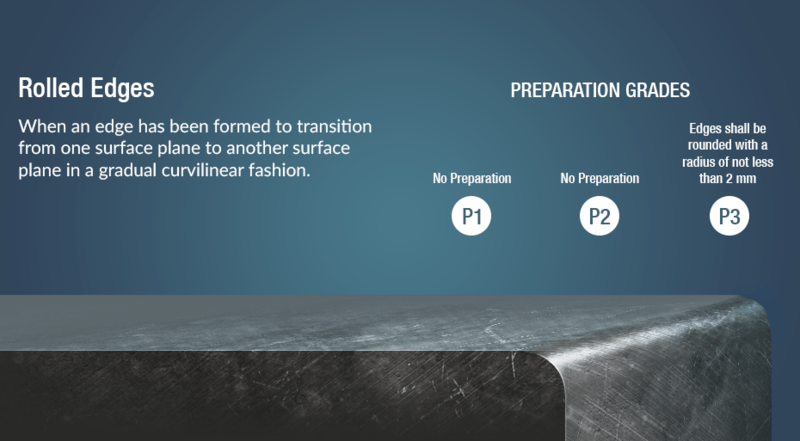 P3 Very Thorough Preparation: surface is free of significant visible imperfections. 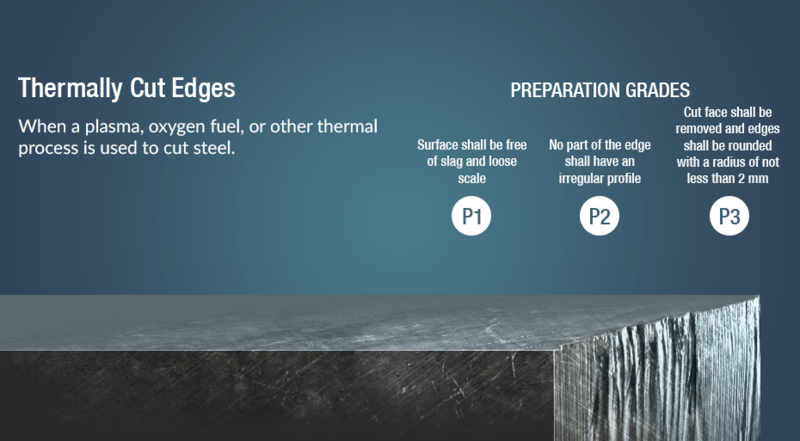 When deciding on the preparation grade, make sure you’re preparing the surface to specifications, especially considering that a single fabrication may require different prep grades — for instance: P1 on the inward-face and P3 for the outside wall. 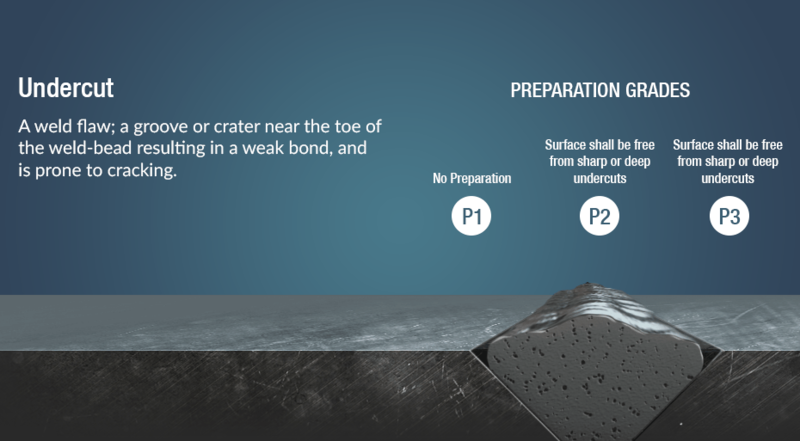 Getting a consensus on between all relevant parties on preparation grades and specific visible imperfections before you start can save time and effort. 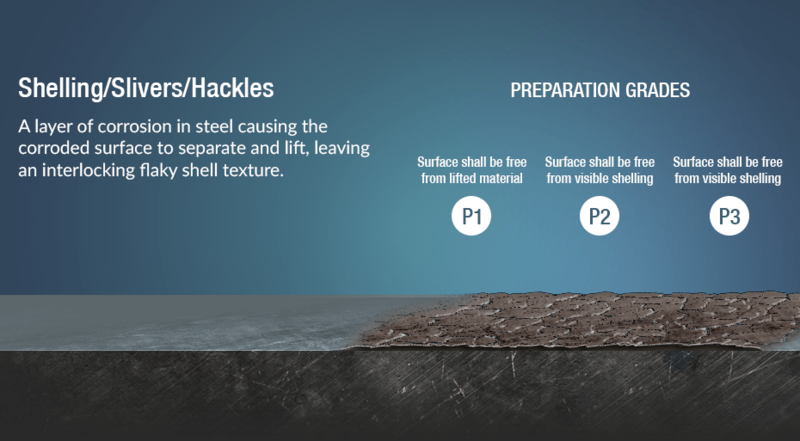 Surface defects should be identified during the inspection, with a plan to remove them discussed before the job begins. 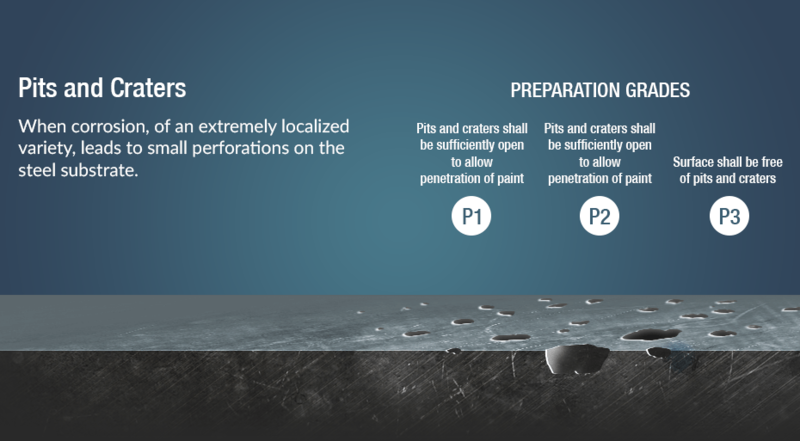 However, if you encounter surface defects that look problematic during the course of blasting, report the defects to the project manager before taking action.